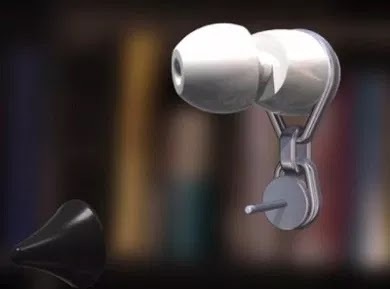 There is a new Headphone 🎧 Technology in town now coming from Scandi Electronics called Swing Bluetooth Earrings. This is a new earphone designed to fit into your ear just as your normal earring. Can I hear ladies say Yea... Yea...! 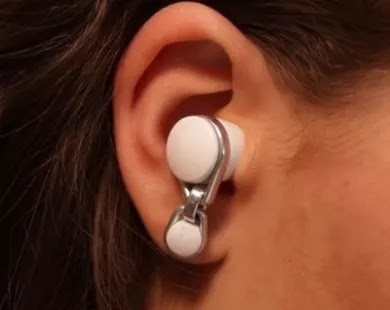 The basic way it works is that you need to replace this little Bluetooth headphone gadget with your regular earrings and hang it from your pierced earlobe. When you have a phone call, you just swing the bottom portion to fit into your ear as you can see from the image on this post when the small device is worn. No need to carry your earphones or dig up your mobile from the bag. This is the new style which I'm sure will trend for ladies but for boys, I don't think they will fancy this technology. Swings Bluetooth Earring is available in two different models: the basic earring and an athletic version. These earphones are also available in three styles: the original in gold and white, the original with pavé rhinestones and Swings Sport in all black. 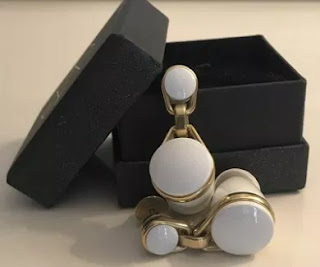 The Bluetooth earrings can last for five hours from the battery power which can be recharged with its charger which is portable and mobile together with the device carrying case. HOW TO BUY THIS BLUETOOTH EARING? The device is currently available under crowdfunding platform to raise money and will be available for $125 -$350 price tag in retail stores from 2019.